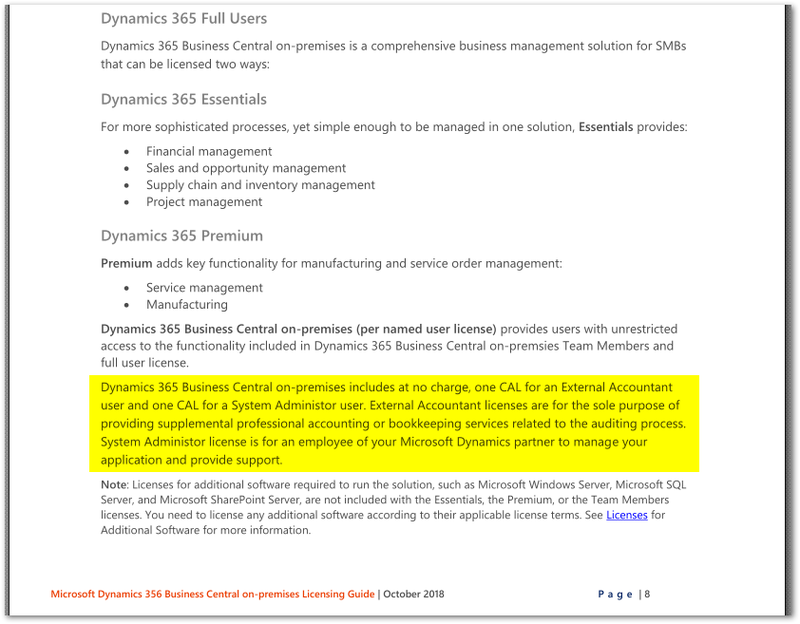 As we have multiple Microsoft Dynamics 365 Business Central On-Premise customers coming online this year that have opted to purchase CALs (the perpetual license model) rather than SALs (the subscription license model), this topic was very important to us to better understand how we can support our customers. Very clear cut. The section covering the SAL is back on Page 3, so this is specifically about On-Premise CALs. At the end of November, we had closed deals on new customers and were beginning to take steps to support them. Immediately, we ran into the fact that everything highlighted above is not true. Support case opened, and here we are a month later. We don’t offer free licenses for perpetual on-prem licenses. The mentioned text in the licensing guide, speaks to SAL which is used for subscription access license not perpetual. There are no plans to update the licensing guide which means it will not be adjusted / nor corrected. I highlighted where the now removed paragraph used to be. So, there you have it. There is no System Administrator or External Accountant license when running On-Premise Perpetual (CAL). 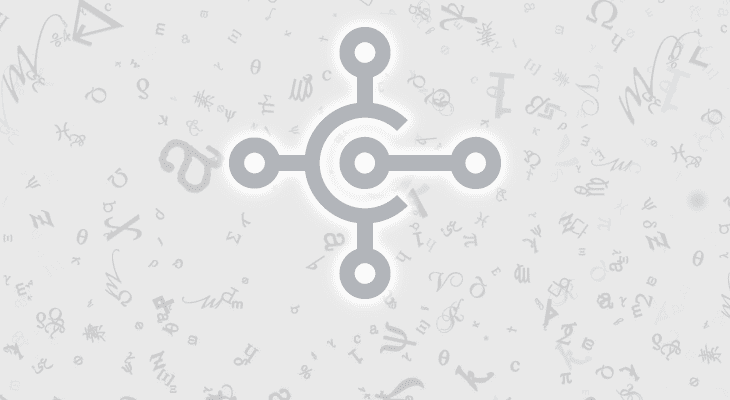 Partners needing to access production systems officially need to have a fully licensed Named User (presumably, any other creative solutions are not permitted). 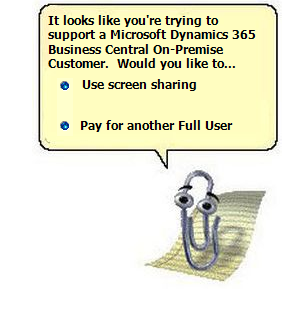 I, for one, look greatly forward to explaining to customers that we have to screen share with them to touch their system like it’s the 90’s. 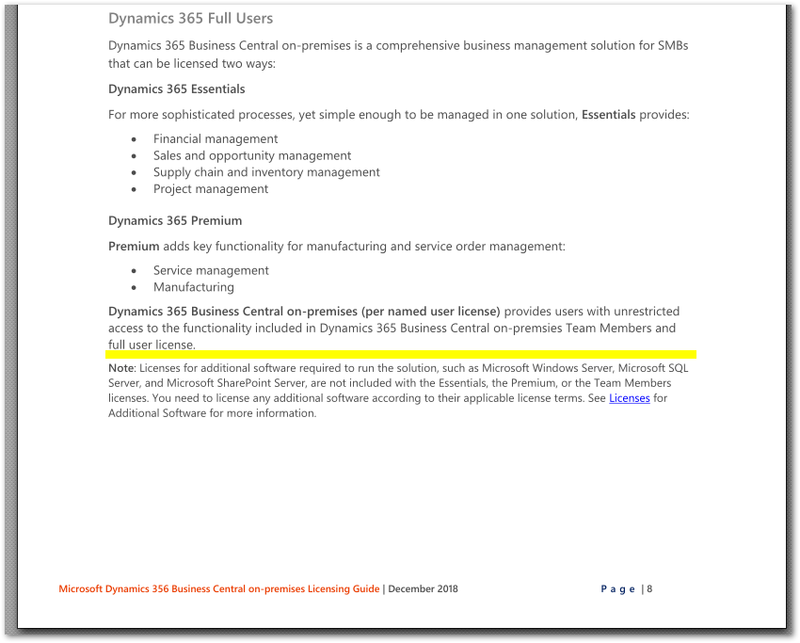 Dynamics 365 Business Central 365 Business Central, Licensing. permalink.